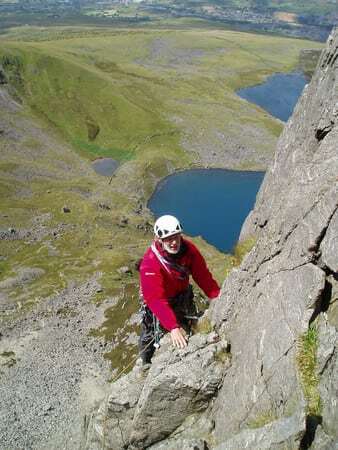 All year round we can offer “mountaineering” – loosely this can mean everything from a winter walk with ice axe and crampons to an ascent of a rock climb in a mountain setting – with all the added interest of a long approach and dramatic location. The mountains of Wales have some long climbs in summer and also occasionally have good winter conditions. That particular genre of welsh climbing favours those that are able to drop everything and dash for the hills when the ice is hanging off the cliffs and laying in the gullies…or you can just be lucky! Either way it’ll be an adventure!